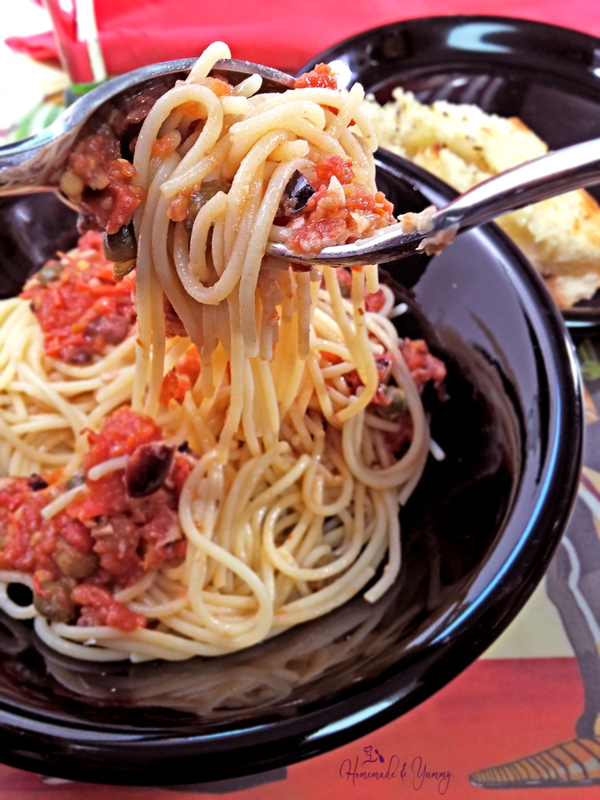 Puttanesca Sauce made with fresh tomatoes and all the wonderful Mediterranean flavours of olives, capers, anchovies and spicy red pepper heat. Perfection! !